Whether you are a CMO or marketing director, demonstrating ROI on digital marketing spend remains a top priority. A large portion of the marketing budget goes to creating content in the form of blogs, videos, infographics, webinars, etc. that engages prospects. A Content Marketing Institute (CMI) survey released this month of more than 1200 B2B companies in North America, found that B2B marketers with a documented content strategy are far more likely to consider themselves effective than those without a plan (66% vs. 11%). This finding is not shocking news. It’s common sense. Most endeavors that have thoughtful advance-planning tend to do better than executing a series of unorganized tasks. But what is notable is that so many companies continue to invest time and dollars in creating content without mapping it out. One of the reasons companies skip the content mapping step is the sense of urgency to get competitive fast in the online, digital world. We are living in a revolutionary age – and odds are we’ll be studied years from now by students who will think it “quaint” that we spent so much time on “guesswork” about prospects and so much money on paper and ink to talk to them. But in today’s world, the transition to integrated marketing is still taking place. And it is exciting and messy and filled with opportunity for companies to radically improve their relationships with customers. But throwing content out there without strategy wastes time and resources. So what is a documented content strategy? It’s a map and a detailed timeline of what content will be created and where it fits into a company’s digital marketing strategy. It begins with doing a content audit of what has already been created and then rating each asset on freshness and relevancy. This will shed light on what assets should be archived or refreshed and it will show what holes need to be filled with new assets. Another part of your content strategy document is creating a blog calendar with keywords and topics. Here is a link to useful content mapping templates provided by the CMI. According to the survey results, B2B marketers in North America feel like they are getting better at content marketing – 42% rate themselves as effective, up from 36% last year. B2B marketers overall rate in-person events as the most effective strategy. However marketers reporting the highest satisfaction with the effectiveness of their content marketing rank blogs as the most effective tactic. The margin is narrow for these 1 and 2 rankings. But what is interesting is that the marketers that rate their content marketing as the least effective in the survey, rank blogs as only 29% effective. It could be that the companies that rank blogs low in effectiveness have blogs that are poorly written or not keyword optimized, or they might not have the support in place that is needed to make blogs effective. For example, clear calls-to-action on the website, the right mix of downloadable assets, social media that reaches out to places where targets engage, and an understanding of how to nurture leads into prospects. 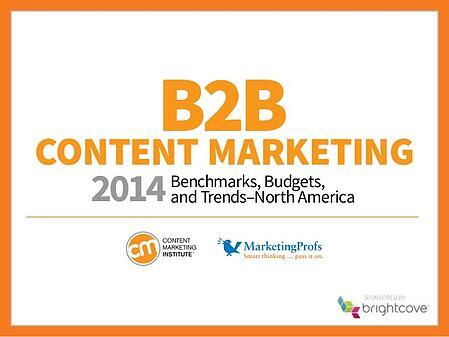 How do B2B companies measure the value of their content marketing? 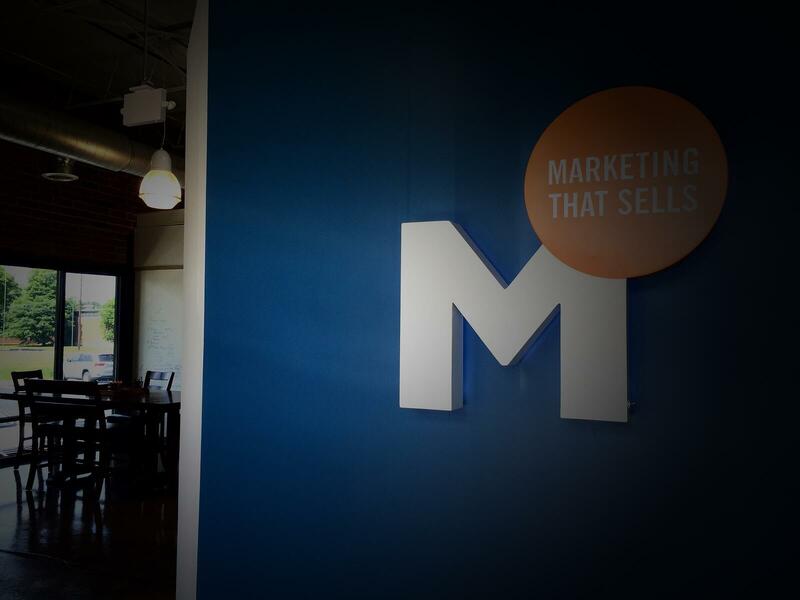 Web traffic and sales lead quality are the key metrics. Almost half of the companies in the survey plan to increase content spend and 10% plan on a significant increase. The survey shows 43% of all companies use a combination of in-house and outsourced resources. Larger companies tend to outsource a higher percentage of content creation. Copywriting and design top the list of outsourced items. There are more insights to be gleaned from this survey of B2B companies. See the full CMI report here. But if you want to borrow the top two habits of companies who rate themselves as highly effective at content marketing, then start by thinking about content as a whole rather than as a list of individual assets and create an overall content strategy and map. Secondly, make blogging a top content priority with the attitude that it is a long range solution to build a sturdy content foundation. It’s an investment tactic that takes time to show ROI, but once the tipping point is reached, blogs are a key element to pull in a steady stream of qualified prospects looking for your solutions. But only if they are actively promoted on social media, referenced by sales reps, regularly promoted to your email base, and there are clear calls-to-action about signing up for the blog placed strategically around your website.